Australia said goodbye last week to one of our most dearly loved authors. 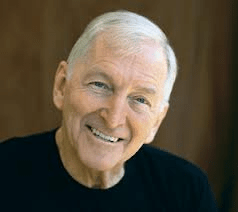 Bryce Courtenay wrote an astonishing 21 books in 23 years. He has been rightly described by his publisher at Penguin, Bob Sessions, as Australia’s own Charles Dickens. Like Dickens, Courtenay’s writing is remarkable for his larger than life characters, his complex plots and his broad popular appeal. And like Charles Dickens, Courtenay was willing to tackle social justice issues. Apartheid in The Power Of One, racial prejudice in Jessica, AIDS in April Fool’s Day – he wasn’t just a champion story-teller, but somebody who aimed to make a difference with his writing. 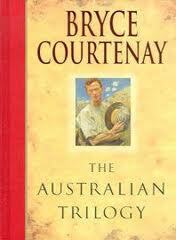 The Potato Factory trilogy was my first experience of reading Bryce Courtenay books. I loved them, and was inspired to begin writing again myself, after a break of many years. That’s the other thing he did – show people that it’s never too late to follow your dreams. Courtenay began his remarkably successful publishing career at the age of fifty-five. As a one-time ad man, he was a master of promotion, but also most generous. For example, he gave away up to 2,500 books free each year to readers he met in the street. So thank you Mr Courtenay, for being such an inspiration over so many years. How fabulous that your final novel Jack Of Diamonds, was released before you died. You’ve left us a truly remarkable legacy. 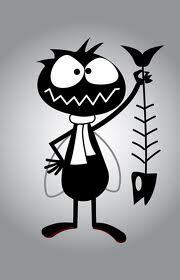 And thank you also, on behalf of a grateful nation, for giving us Louie the Fly!